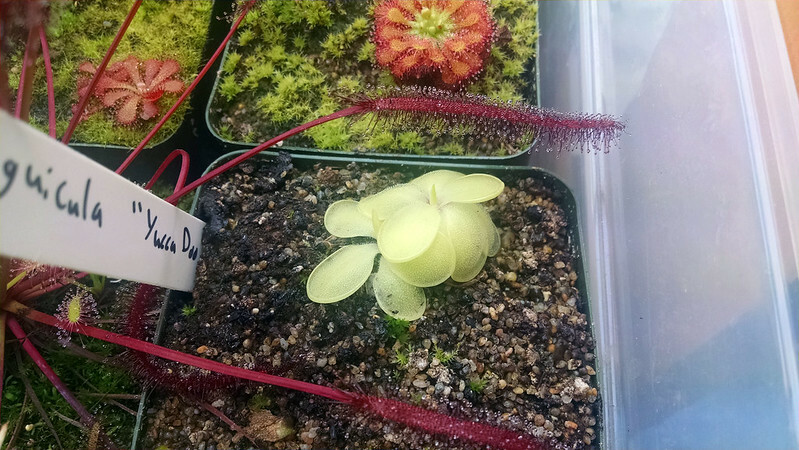 Pinguicula roundup, March 2015 |Sundews Etc. 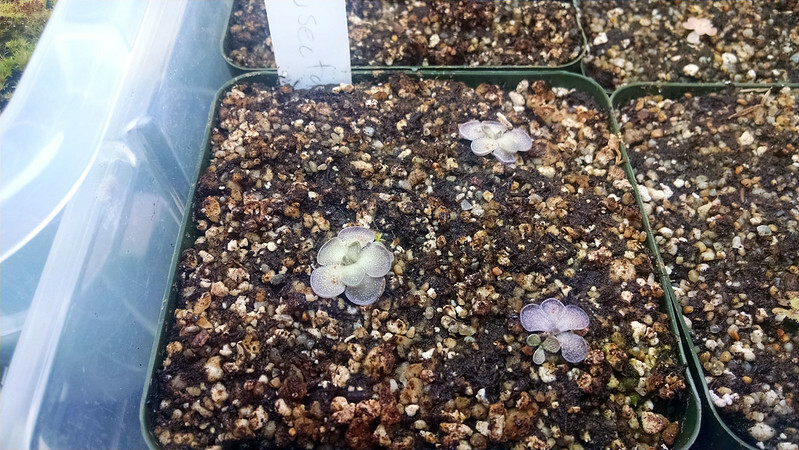 It's been a while since I did a Pinguicula roundup, and I've acquire quite a few new species/hybrids/cultivars since then. Let's have a look! First up is this tray that houses several little starts I've acquired recently. 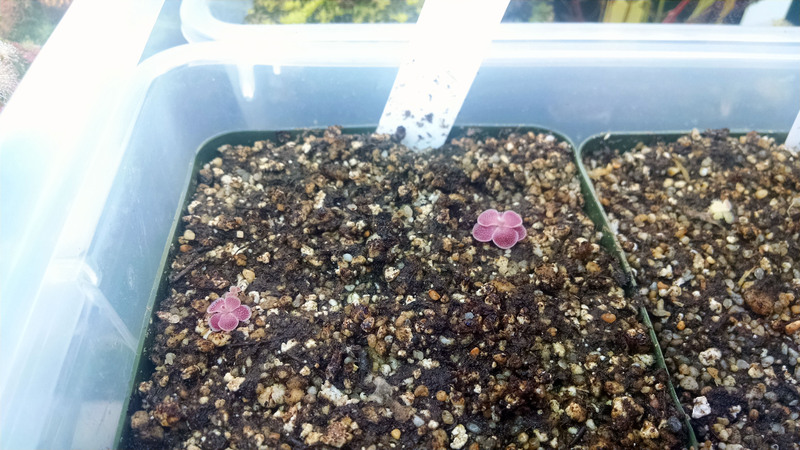 Pinguicula start tray. Little babies! 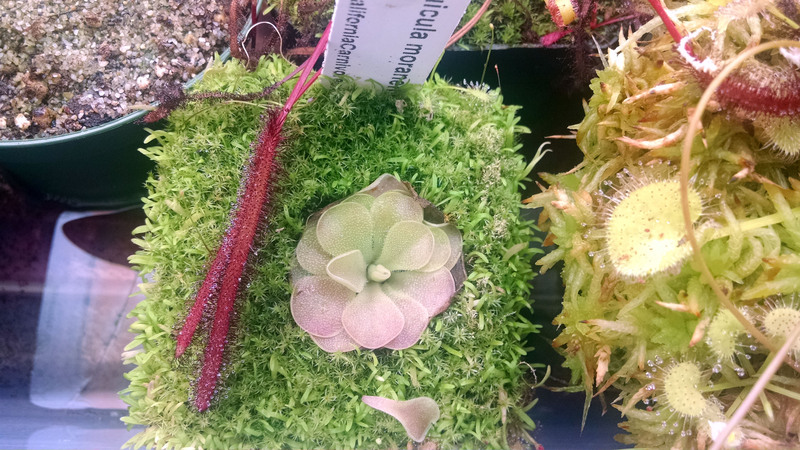 In here we have (clockwise from top right): Pinguicula 'Florian', Pinguicula jaumavensis, Pinguicula rotundiflora × hemiepiphytica, Pinguicula 'Sethos', Pinguicula esseriana, and Pinguicula cyclosecta. 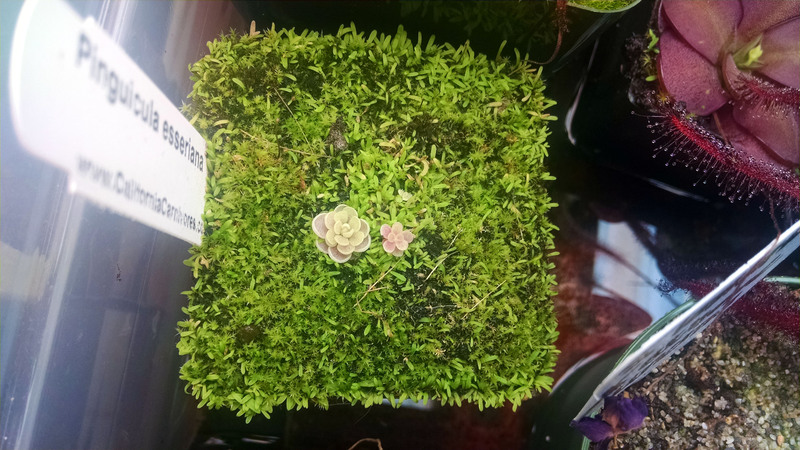 P. rotundiflora × hemiepiphytica, March 2015. P. esseriana starts, March 2015. 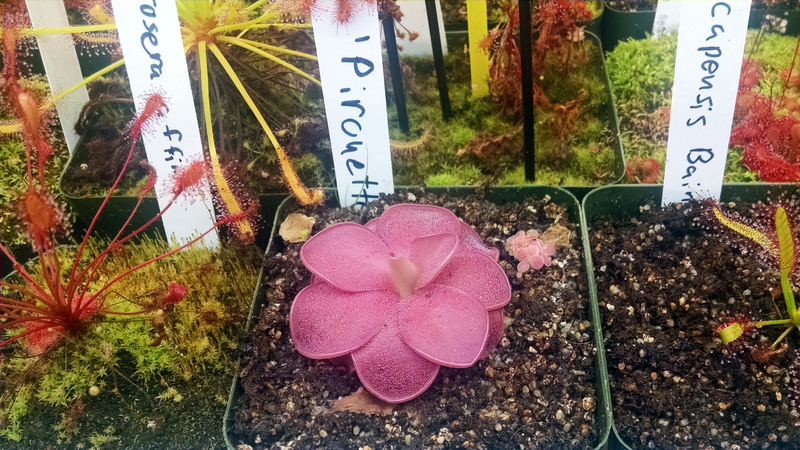 Some of these have really nice colors, especially the P. 'Florian' and P. cyclosecta. 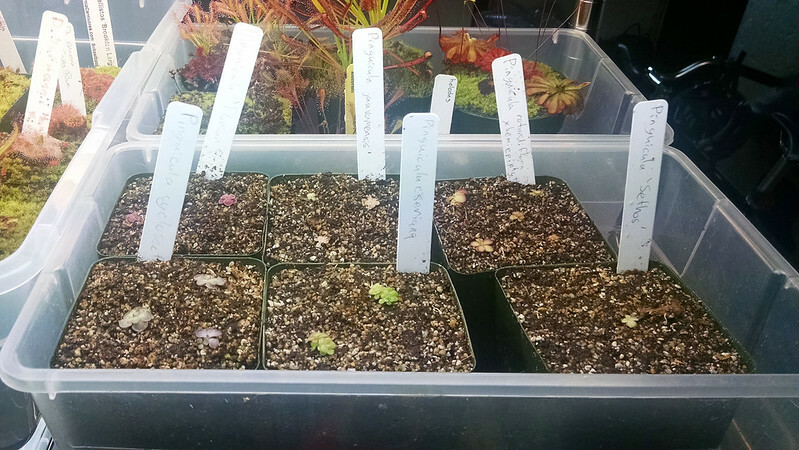 Also my friend Apache Rose said that the P. rotundiflora × hemiepiphytica is her favorite ping, and she has a very nice collection (four of these starts are from her). 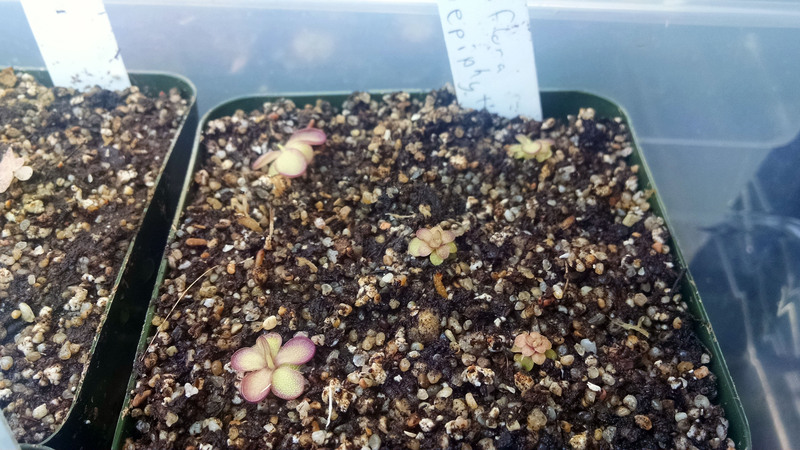 One more note – in a couple of months I'm going to have a lot of little P. esseriana floating around hahah. Now for some old friends. 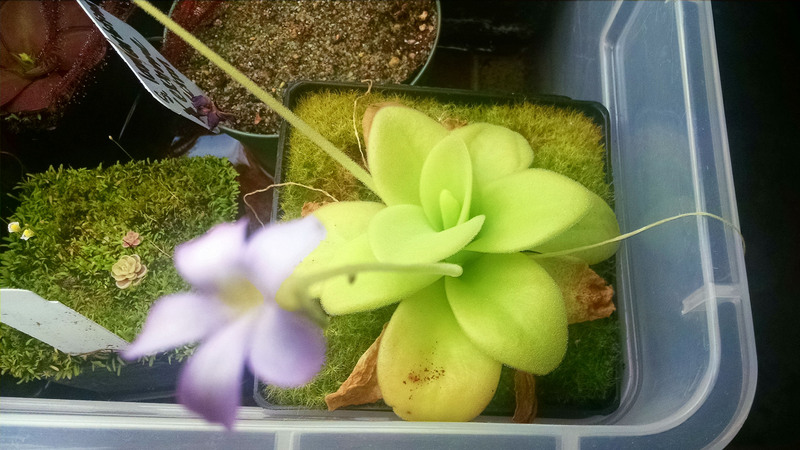 Pinguicula gigantea is in the midst of another flowering burst. Flowering P. gigantea, March 2015. Hopefully that means it will start dividing again soon! 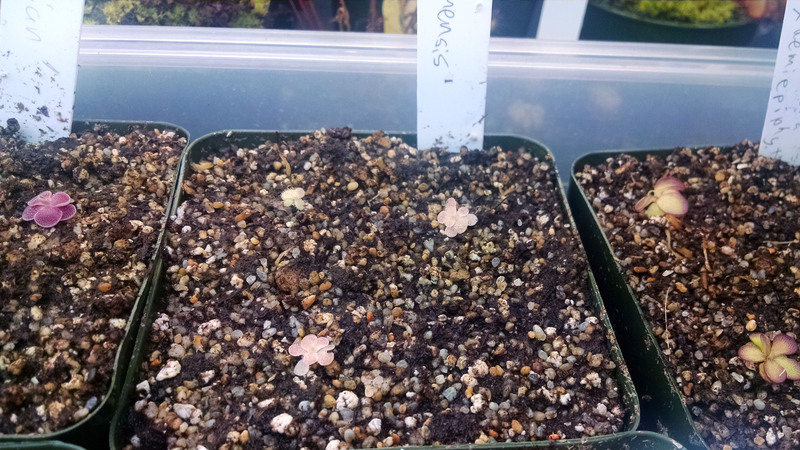 My other two tiny little P. esseriana are putting on a bit of size. Somewhat older P. esseriana, March 2015. 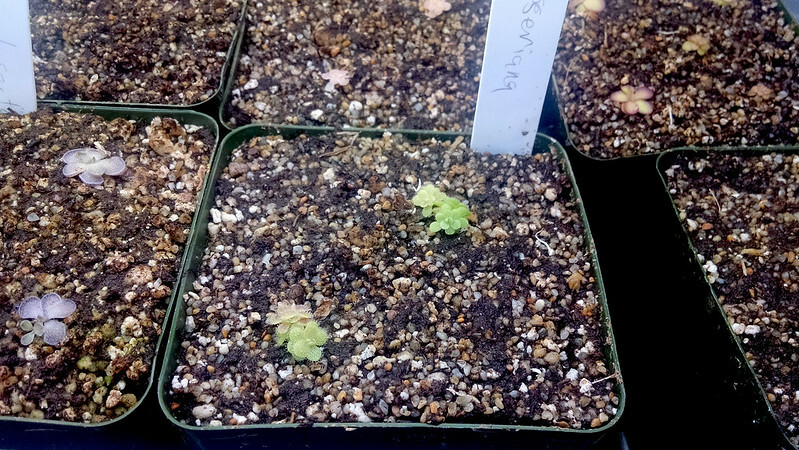 Pinguicula moranensis recently made some leaves that look sort of succulent, so I took a pulling. Here's hoping it strikes! I should take another. Meanwhile there's another flower forming on Pinguicula laueana × emarginata. 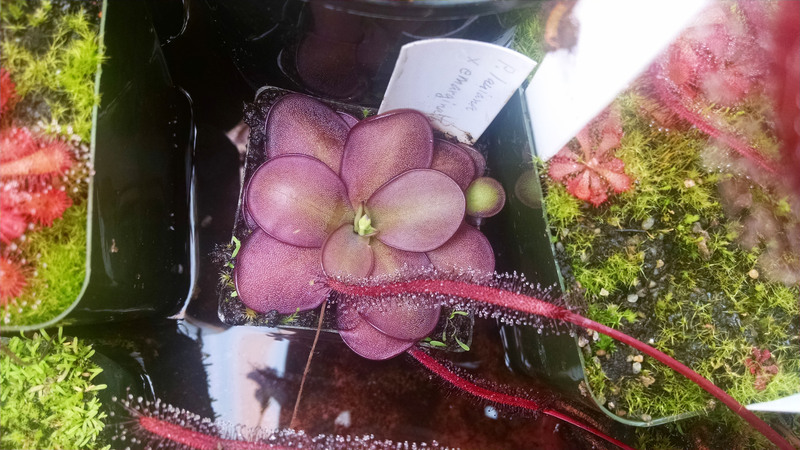 P. laueana × emarginata, March 2015. It's really filling out that tiny pot. 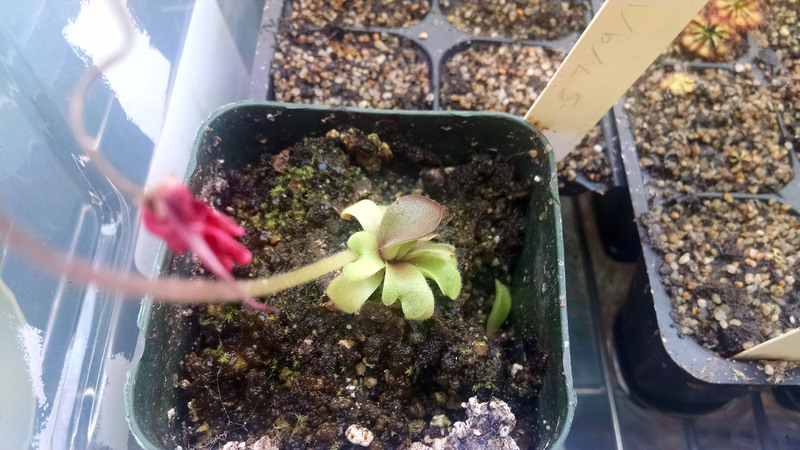 Still watching the carnivorous leaf unfurl on Pinguicula laueana. I've also got some pullings working on this guy. Fingers crossed! It's about time I separated these two Pinguicula "Yucca Doo 1717" plants. 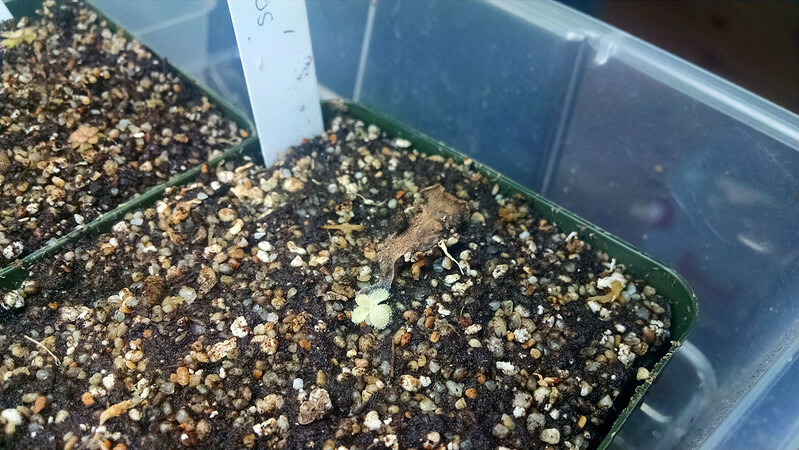 P. "Yucca Doo 1717", March 2015. They've put on some good size since I traded for them back in August. 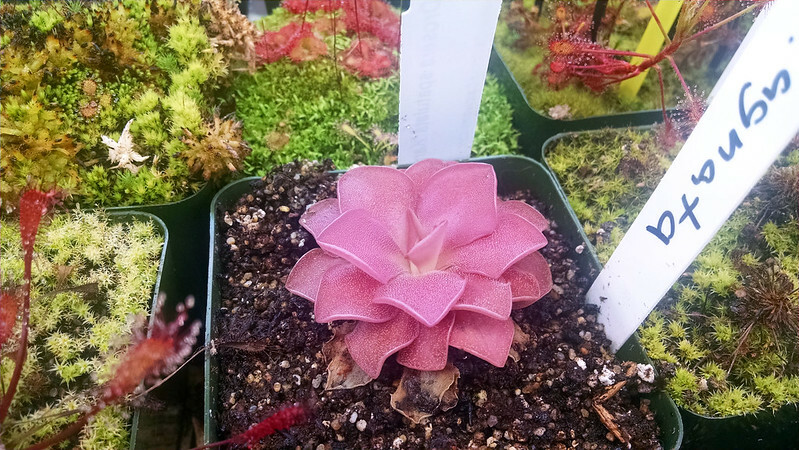 Pinguicula 'Pirouette' is looking amazing lately. Lots of success from those pullings too. Finally, Pinguicula agnata, which hasn't gotten much attention on the blog lately, but which just has a delightful leaf shape and color. I love my pings. I feel like I should consolidate them into a tray together so I can appreciate them better. So pretty! Have you ever tried growing your pings outside? I'm interested in growing them but don't really have room inside to do so.